Barcelona Spain, the site of the most recent carnage leveled by Moroccan Jihadists; 13 plus murdered in cold blood by an ISIS cell. Spain, a country on the verge of a split up is the home of 1.9 million Jihadists. Stealth Muslims practicing Islam peacefully until the call from Allah comes. It is the only European country to have a border with an African country (Morocco) and its African territory accounts for nearly 5% of its population, mostly in the Canary Islands but also in Ceuta and Melilla. Will there be another Inquisition is today’s main question. Looking back on history: The fall of Granada in 1492 marked the end of Muslim rule in Iberia, although a Muslim minority persisted until their expulsion in 1609. After the ISIS Catalan cell’s two vehicle attacks in Spain, the Moroccan-based network’s terror cells across six European countries are poised for more. 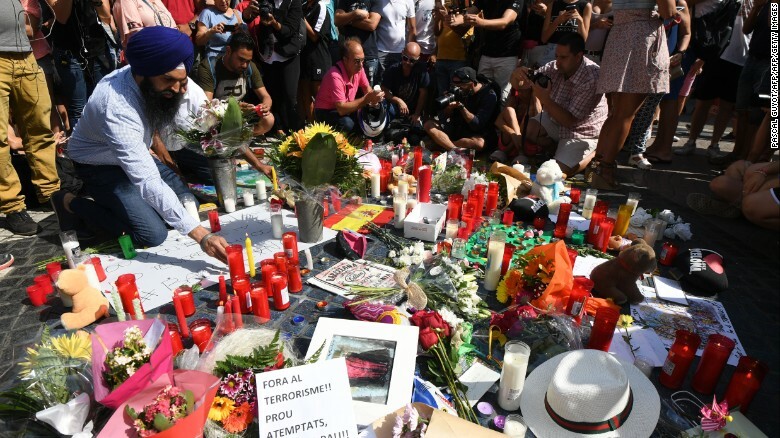 Spain saw one of its most violent days in recent memory as a spate of incidents throughout the country appeared to be connected to a terror attack Thursday in Barcelona that left 13 people dead and more than 100 injured. 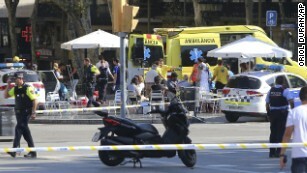 Authorities said they are working under the assumption that two other deadly events, a terrorist incident in the seaside city of Cambrils and a house explosion farther down the coast in Alcanar, were linked to the van attack in Barcelona that had ISIS taking credit. Also Thursday, two police officers in Barcelona were hurt when they were hit by a car, but police were unsure whether that was related to the other incidents. The deadly events began in the early evening with a van plowing through crowds on the renowned Las Ramblas avenue, a popular tourist section of Barcelona. Authorities said of the 80 people taken to hospitals, 15 were seriously hurt. • Two suspects — one from Morocco, one from the Spanish enclave of Melilla — were arrested in connection with the Barcelona attack, Catalan Police Chief Josep Lluis Trapero said. • One suspect in the Barcelona attack is on the run. “The driver abandoned the van and escaped from the area,” Trapero said. • About 115 kilometers to the southwest, there was a second attack early Friday. Catalan police tweeted that five suspected terrorists were killed in Cambrils. Emergency officials said six civilians and a police officer were injured. • One person was killed in an explosion at a house in Alcanar, around 200 kilometers (120 miles) southwest of Barcelona. • A driver ran over two police officers at a security checkpoint in Barcelona, police said, and the driver was found near the city. The two officers suffered minor injuries and did not need hospital treatment, police said. It was unclear whether that incident was related to the terror attack. • ISIS’ media wing, Amaq, said the perpetrators of the Barcelona attack were “soldiers of the Islamic State.” However, ISIS has not explicitly claimed responsibility.